« SQL SERVER – Fix – Error – 3023 – Backup and file manipulation operations (such as ALTER DATABASE ADD FILE) on a database must be serialized. In my earlier articles, I wrote how to insert files inside the file table and this is more than enough if you maintain few files inside one filetable. But once a filetable is crowded you should maintain the files inside the folders to manage it properly. But how to create a folder inside a filetable ? Note : I strongly recommend that you should read given below articles to have a clear understanding about FileTables. 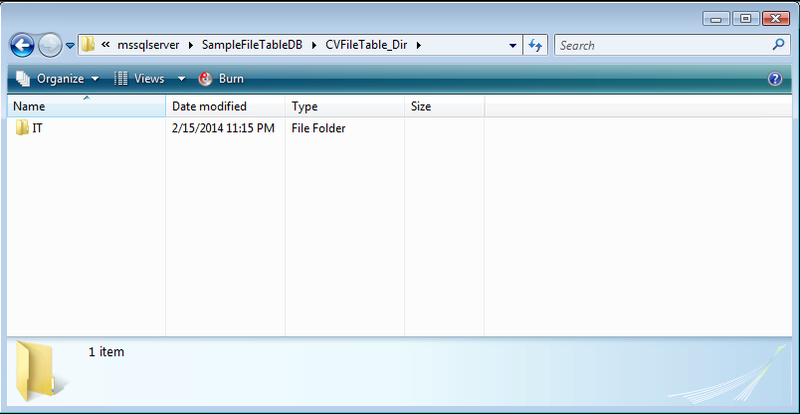 There are two methods to create a folder inside file table. Given below are the details. Let me explain each method in detail. 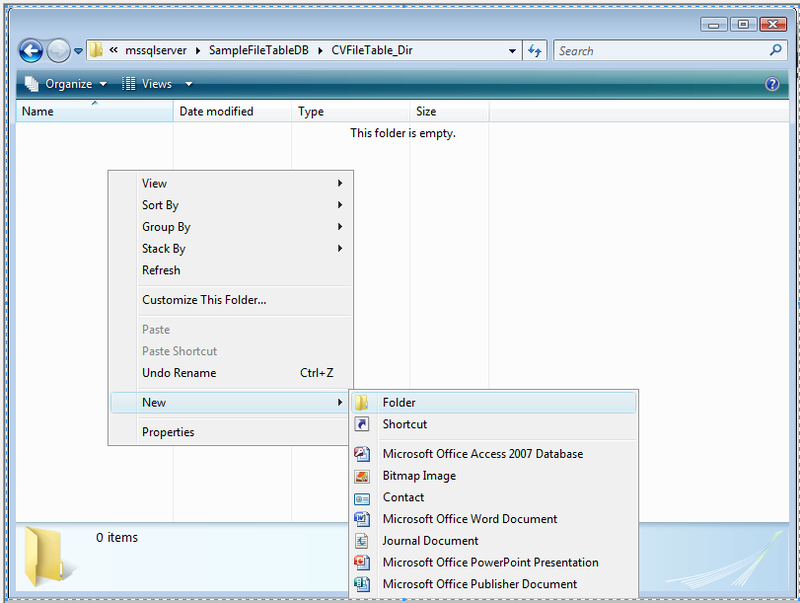 This is the easiest way to create a folder inside filetable. In order to follow this method we need to achieve it step by step. First of all you should select the respective filetable in which you need to create a folder and right click on it and select “Explore filetable directory” as shown in the image below. 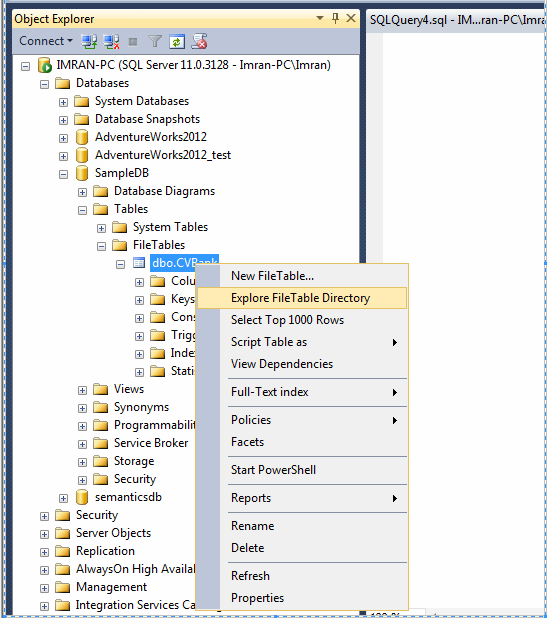 Once you select “Explore filetable directory”, it will open that particular filetable directory folder. You can create folder here, just like in windows, as shown below. This method we usually use when we need to create a folder dynamically using T-SQL. Given below is the script.